Prevention is a key aspect of the ethos of the Australian New Zealand Burns Association. Australia is a vast country and similar to New Zealand, incorporates many different cultures, ages and industries. ANZBA and its affiliated burns services possess a unique body of knowledge, expertise and facts and are well poised to know the consequences of burn injuries. This provides invaluable insight and understanding into the mechanism, extent and consequence of injury that can inform change and action in both the community and government that will make our environments a safer place. As clinicians we are all aware of the positive impact of education on the community, especially as most burns are preventable. 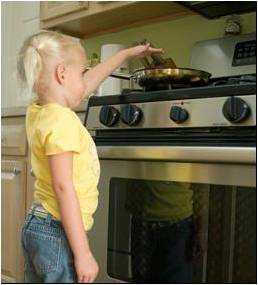 Unfortunately burn injuries often involve small children, the elderly and immigrants. Burns also often involve risk taking behaviour. Recently the ANZBA Prevention Committee highlighted the issue of young males using accelerants to light or enhance fires. Data from the ANZBA BiNBR showed that males account for 67% of cases treated within participating ANZBA Burn Units. The 20 to 29 year age group accounted for 27% of adult burns, of these 44% sustained flame burns. Of the adult burns the most common type of injury is flame burns from an outdoor fire such as campfire/bonfire/burning off. An accelerant was used to ignite/enhance the flame in over half of flame burns in the 16 to 49 year age group (BiNBR Annual Report Year2). This page of the ANZBA website provides various burn prevention resources – browse the links on the left to view. Please contact the ANZBA Secretariat if you or your organisation would like to contribute to the content of this page. The best prevention for burns is to be educated and informed.